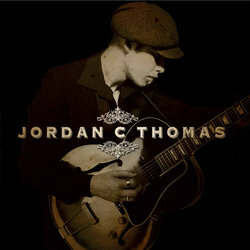 Moving and shaking the alternative music scene from the underground up; the Jordan C. Thomas band's raw, yet sophisticated big band sound has proven to be a successful combination and garnered Jordan C. Thomas's six piece ensemble supports with artists such as the Royal Crown Review, Imelda May, Pink Martini and the Cherry Poppin' Daddies. The band members, all in their twenties, have been performing in this combination for about one year and have enjoyed a quick rise in popularity despite rejecting the norms, fads and fashions. The band produce something that is honest, fresh, seriously dynamic and instantly appealing to anyone with a set of ears, eyes and/or feet. Be them dancing shoes, drinking shoes or a high top set of docs; anyone wearing them will be inadvertently driven to moving and grooving. A beat jazz journey through the general melancholic listlessness following the loss of a loved one.